(PRLEAP.COM) Bennion Kearny, a UK-based international publisher of soccer coaching books, is pleased to announce the upcoming publication of two new titles to their catalogue. In Developing Skill: A Guide to 3v3 Soccer Coaching by Peter Prickett, coaches will learn how to develop and grow skill in their players through small-sided practices that utilise triangular formations and support. With a 3v3 foundation, players will ultimately be able to expand their skillsets into larger groups, utilising the skills learned – such as one-twos, overlaps, third-man runs and more – to create effective winning teams. Peter Prickett is an FA affiliate tutor with a decade of experience coaching with various organisations. He was one of the first coaches in England to obtain the UEFA B Futsal qualification. Peter is currently studying for a Masters in Performance Football Coaching. His book is due for publication on October 3rd 2018 and will be made available in paperback and ebook formats. Pre-orders can be made before then. 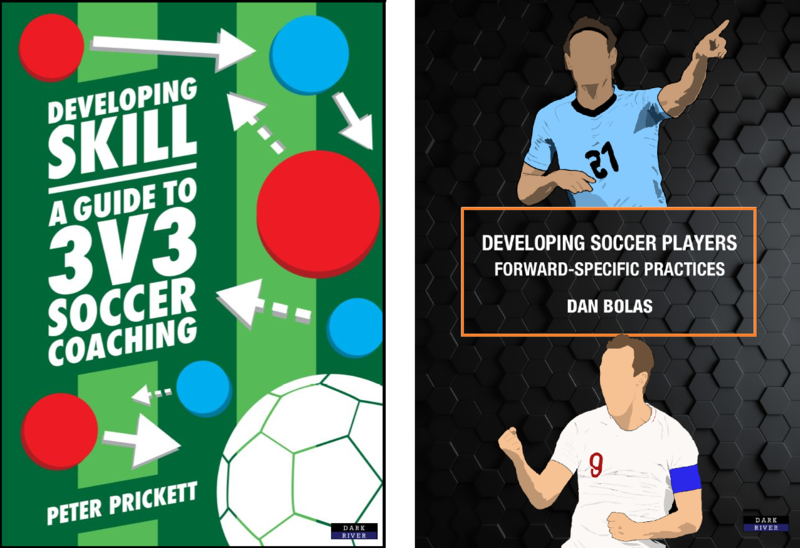 The second new title is from author Dan Bolas; a coach who has been working in football for the past 15 years, with a focus on developing and improving players of all ages and abilities. For the last nine years, he has been coaching in English academy football. Dan holds the UEFA A Licence qualification and is a graduate of the Premier League's innovative Elite Coach Apprenticeship Scheme. In Developing Soccer Players: Forward-Specific Practices, he examines how coaches can develop first-class centre-forwards, so that they can execute the correct skills at the correct time. This can be achieved by placing the forward in game-realistic positions and scenarios, then allowing them to 'practise' appropriate techniques. In doing so, they develop a feel for a successful strike and continue to build their skills until they become comfortable. Bennion Kearny publishes many books by top footballing authors. They include titles from Ray Power (The Deliberate Soccer Practice series), Xavier Tamarit (What is Tactical Periodization? ), Tom Bates (The Future Coach), and Dan Abrahams (The Soccer Tough series), as well as a host of upcoming names. Bennion Kearny's titles have been sold into a number of international foreign-language markets. Soccer coaches who wish to write their own books are invited to get in touch with the company to discuss opportunities. Aside from soccer coaching books, Bennion Kearny publishes non-fiction titles into many other areas including history, music, business, biography, and more. The company also publishes numerous articles on the book topics published. For more information, readers should visit the Bennion Kearny website.